HARTFORD - The reigning Masters champion is coming to Cromwell this June. The addition of Reed, No. 18 in the Official World Golf Ranking, already gives this year’s event nine of the world’s top 20 players and four of the top 10. Brooks Koepka (No. 4), Justin Thomas (No. 5), Bryson DeChambeau (No. 6), Francesco Molinari (No. 7), Paul Casey (No. 11), Tony Finau (No. 15), defending champion Bubba Watson (No. 17) and 2012 Travelers Championship winner Marc Leishman (No. 19) have all committed to play at the Travelers Championship. 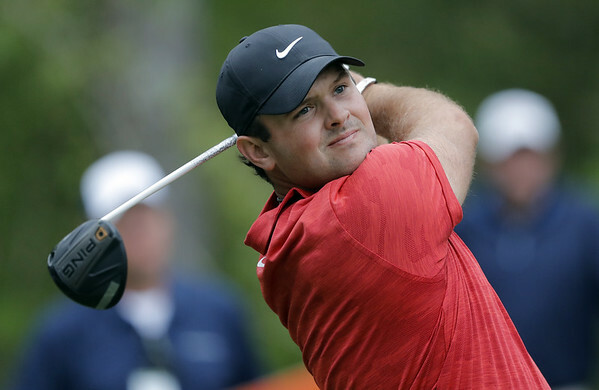 Reed is a six-time winner on the PGA Tour. In addition to his win at Augusta, which he will try to defend next week, the 28-year-old has won at the Wyndham Championship in 2013, the Humana Challenge and Cadillac Championship in 2014, the Hyundai Tournament of Champions in 2015 and The Barclays in 2016. “With a green jacket, multiple wins and memorable performances for Team USA, Patrick is one of the top stars on the PGA Tour and we’re happy that our event will once again be on his schedule,” Executive Vice President and Chief Administrative Officer at Travelers Andy Bessette said in a statement. The Travelers Championship will be held on June 17-23 at TPC River Highlands in Cromwell, Connecticut. For tickets and more information on this year’s tournament, visit www.TravelersChampionship.com . Posted in Newington Town Crier, General Sports on Wednesday, 3 April 2019 21:33. Updated: Wednesday, 3 April 2019 21:36.